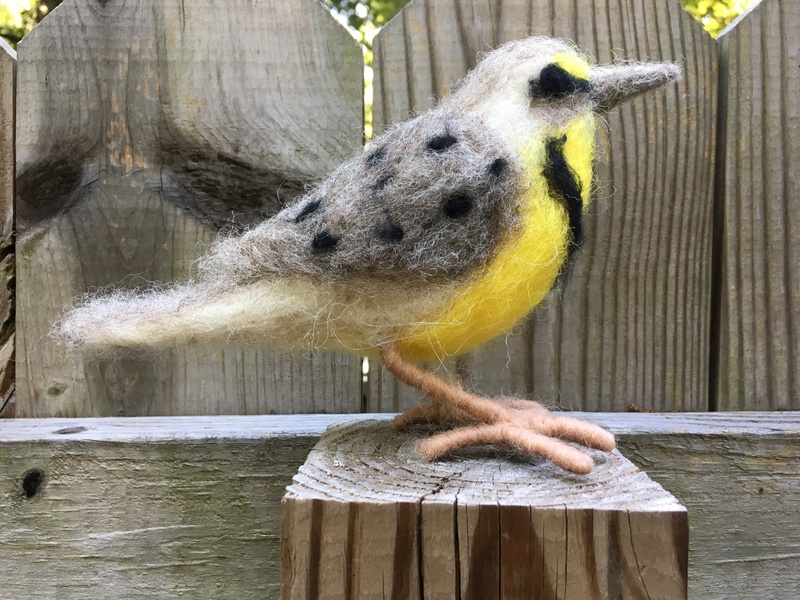 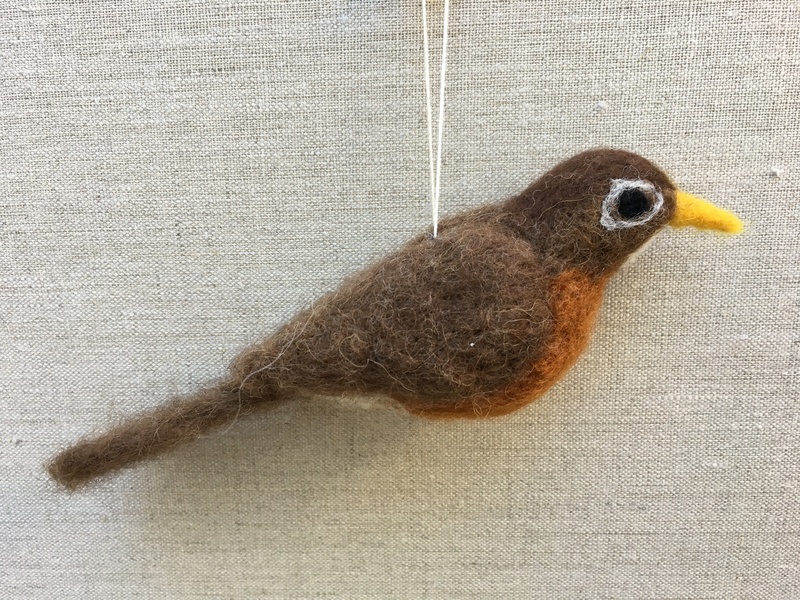 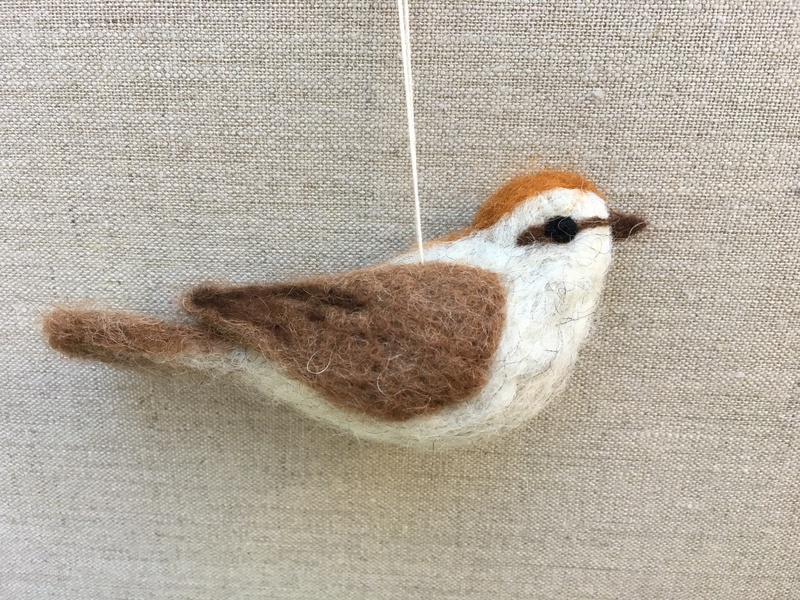 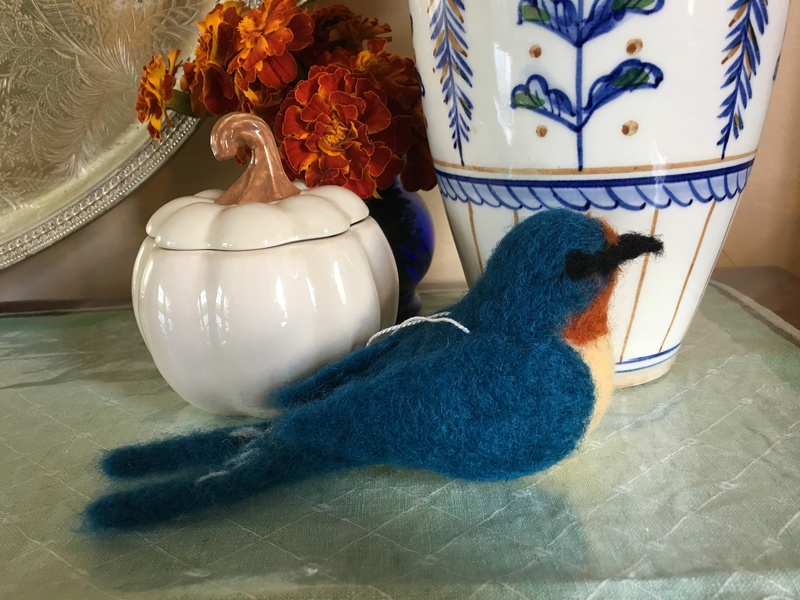 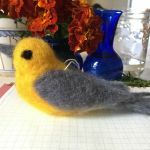 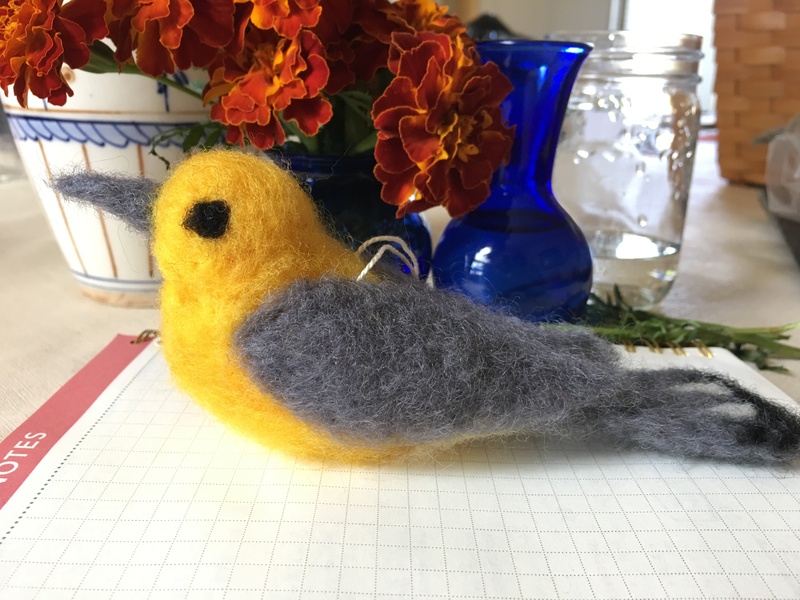 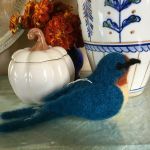 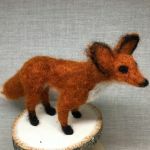 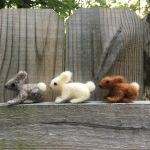 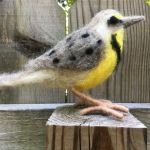 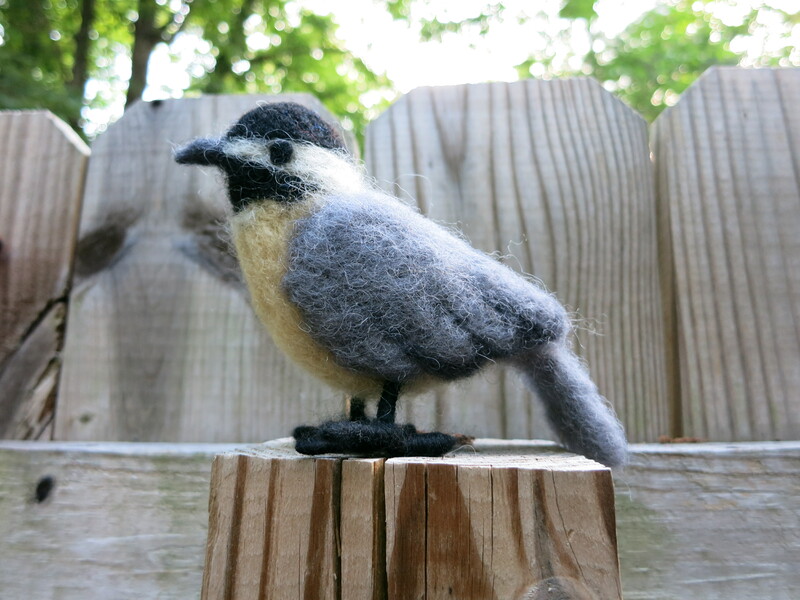 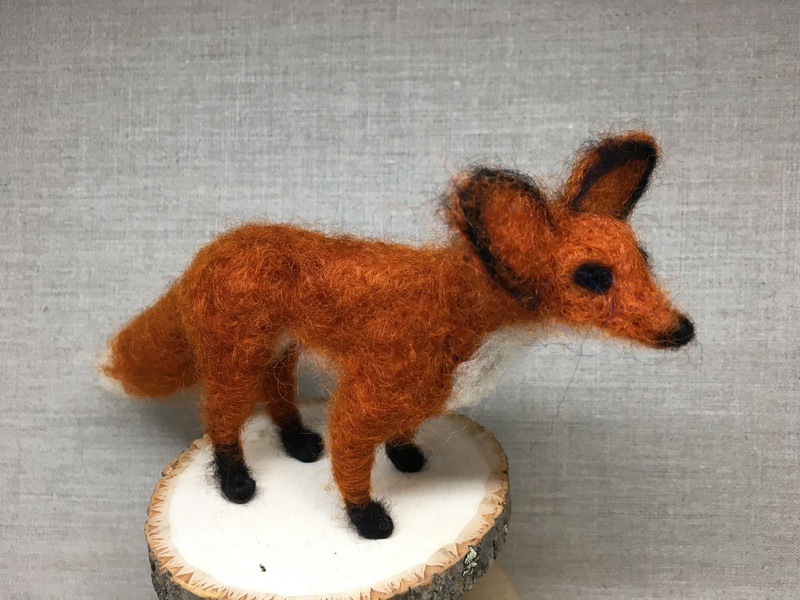 Felted animal ornaments and soft sculptures bring the perfect touch of natural whimsy to any home. 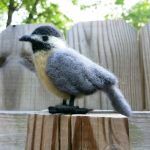 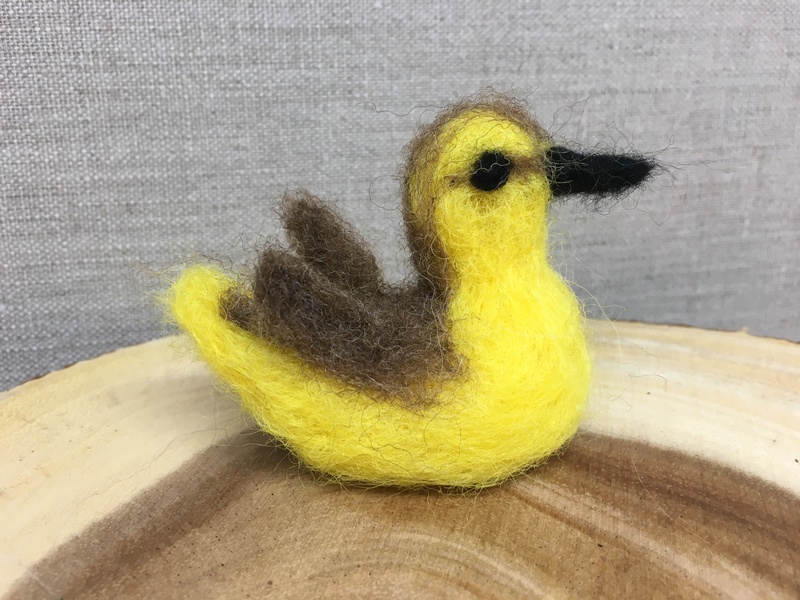 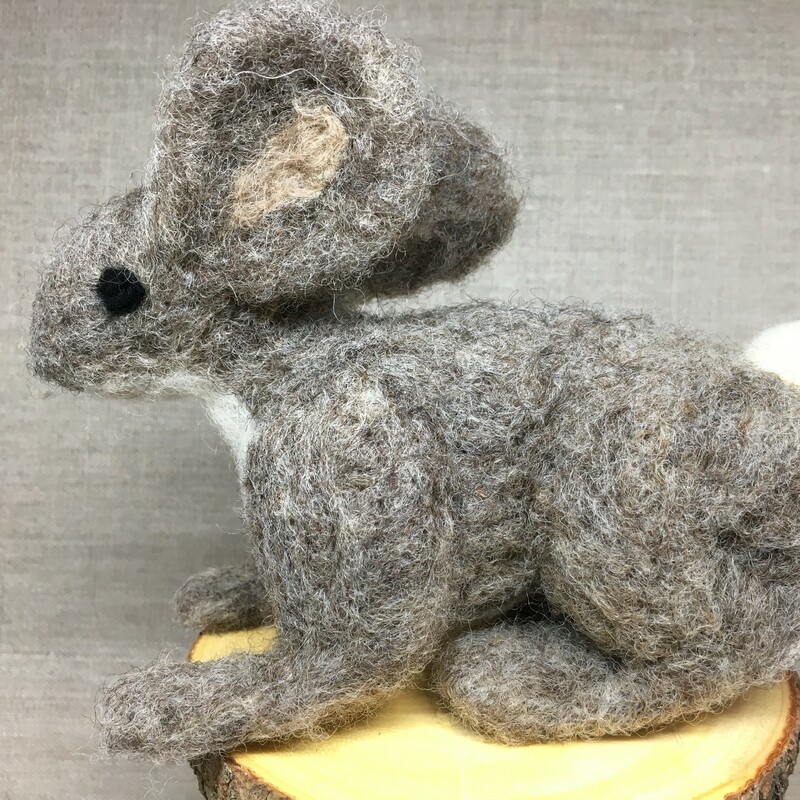 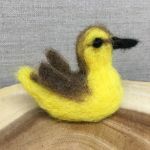 Made from 100% sheep and alpaca wool, each features a carefully researched and intricately crafted native Virginia species. 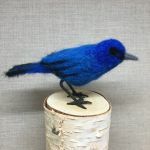 Wool felting begins with already-colored, un-spun wool, in a large fluffy mass called roving. 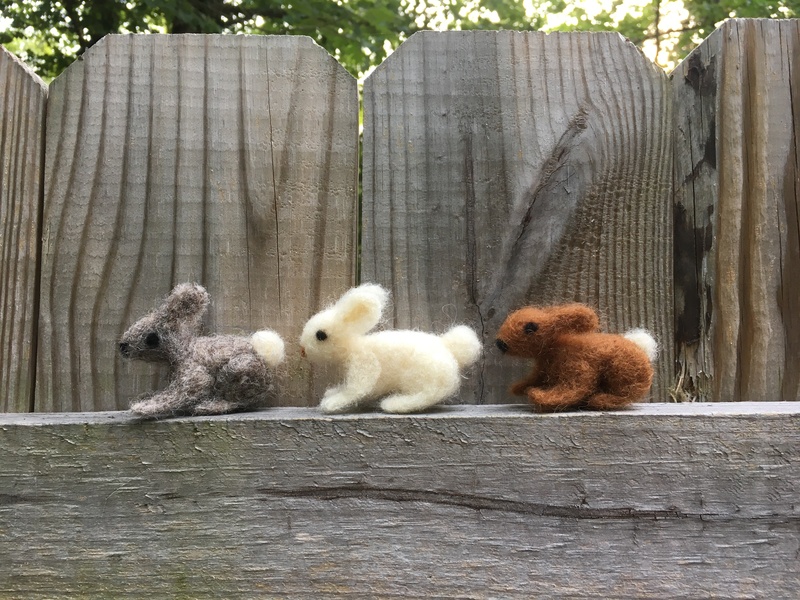 I use mainly sheep wool, and sometimes alpaca wool. 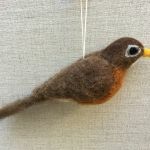 I shape the wool using a barbed needle – this needle tangles the wool together into a firm sculpture that holds its shape, but still feels soft to the touch. 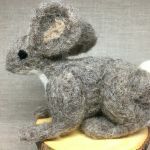 Rabbit & Wren is committed to using sustainable, ethical products. 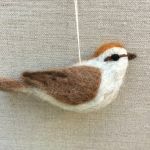 Whenever possible, I use locally-sourced and locally-processed wool.